Almost totally frozen, the most famous waterfalls in the world present themselves as a winter marvel that all US newschannels are broadcasting and covering. 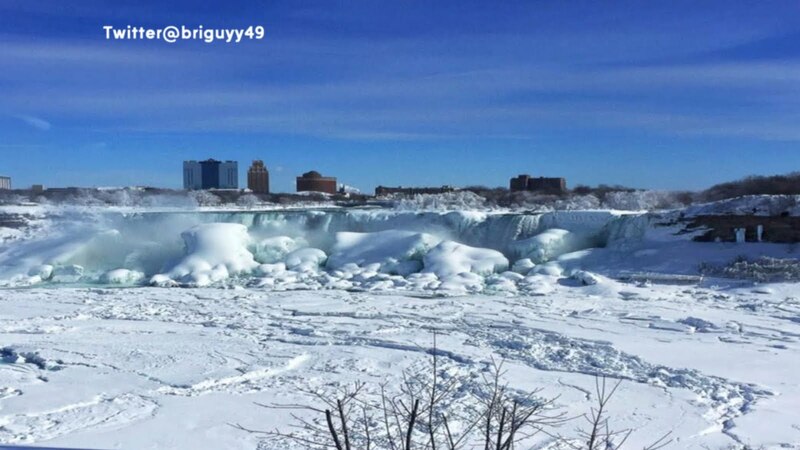 The US-Canada border, here, is literally frozen! Meanwhile, a huge mist cloud arises!